We are pleased to share the Destination 2020: Designing Our Future Together Report with the Greater Pensacola Bay Area community. This strategic planning process engaged a wide range of community stakeholder opinions, relevant research about industry trends and current visitor behaviors, as well as the best practices in the destination marketing industry. Over the past nine months more than 300 community members from all walks of life and from all areas of Escambia County participated in this process. Together, we were guided by our desire to create a community where people want live and visit—sharing perspectives on our community strengths and aspirations, as well as things we need to work on. I’m proud to share the results of this work with you. The strategic framework as well as the tactical action plans for 2015—2016 can be downloaded here. I encourage you to continue being part of this process, as we work together to implement the ideas we have all generated together. I look forward to the future we have designed together. David Bear, Art, Culture & Entertainment, Inc.
Steve Hayes, Visit Pensacola, Inc.
As part of the on-going Destination2020 planning process we invited the community to participate in the Tactical Planning Workshops. These workshops produced a 2015-2016 tactical plan that is available to download below. 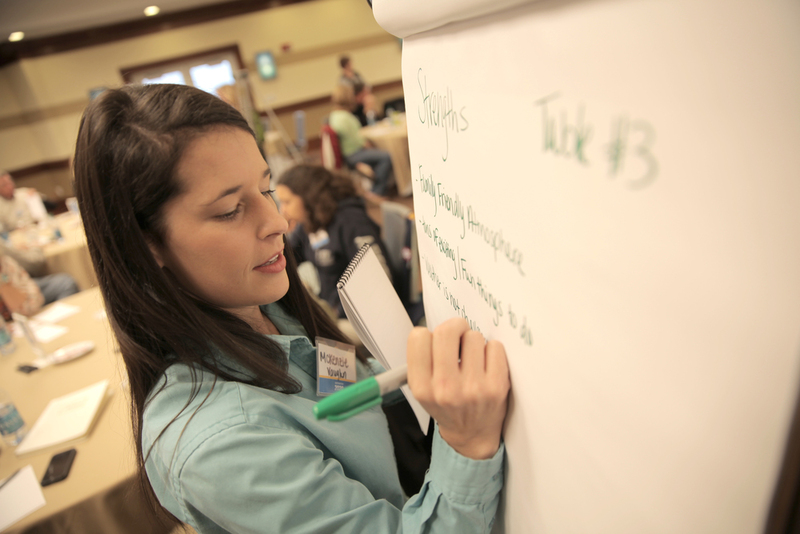 All sessions were held at the UWF Innovation Institute. Each workgroup explored three of the areas of strategic focus: Product Development, Infrastructure, Collaboration and Partnerships. 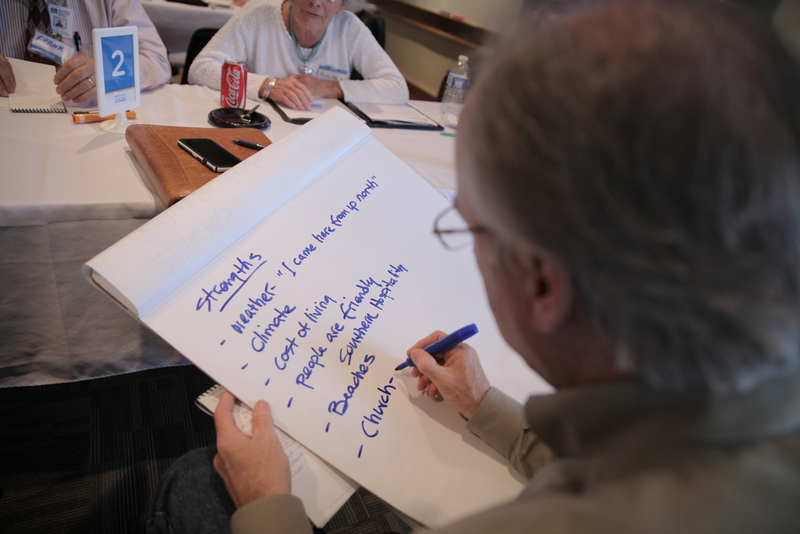 Each group was tasked with producing recommended tactics and action plans for 2015-2016. The tactics were prioritized through a community survey and vetted by the Visit Pensacola Board of Directors, the Destination 2020 Planning Team and Visit Pensacola President, Steve Hayes. To download the 2015-2016 Tactical Plan click button below.